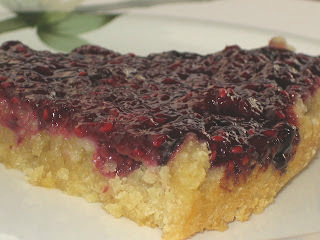 eat, drink & be vegan: Alive Magazine, Raspberry Almond Torte, & Q4U! Alive Magazine, Raspberry Almond Torte, & Q4U! Thought I'd let you all know that I have a cooking feature in the September issue of alive magazine. 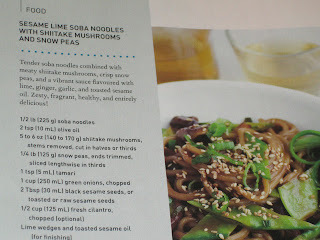 The article is "Mushroom Mania", and includes my recipes for Sesame Lime Soba Noodles with Shiitake Mushrooms and Snow Peas (pictured), and Seared Portobello Mushrooms. And, this luscious, gluten-free Raspberry Almond Torte (new recipe!) will be featured in an upcoming Alive issue (December I believe), so stay tuned for that one... it's a goody! Now, I have a question that perhaps a few of you might be able to help with. I'm looking for software for recipe analysis. Most of the programs I have looked into so far have very few, if any, alternative and vegan ingredients. Things like brown rice flour, spelt flour, nutritional yeast, silken tofu, etc, just aren't included in these programs. I'm willing to input the information, if needed, and if it's an otherwise excellent program. So, I'm wondering if any of you have recommendations for a very good program (that's not too expensive)? Especially if you work with the program, perhaps in nutritional counselling, but maybe otherwise, even for personal use. Any feedback would be useful! Have you tried CRON-O-Meter? It's free and I find the recipe entry interface quite good. That is great! Congratulations! You can never have to many mushrooms! I know that Susan V. at FatFreeVegan uses a recipe analysis software. I don't know if she's had issues with ingredients, but you might want to contact her! thanks viteVegan, I'll look into it! In school we used a program called Food Processor. It was a wonderful tool, and did have an extensive ingredient database, including natural products, as well as having a feature to input data based on a food label for a product not in the database (such as I had to use for including mochi in one of my recipes, for example). The only downside is I hear the program is expensive, although I haven't looked into the pricing personally. Hope that helps! That's a really good question. I've never even thought of a program that could do such a thing. Good luck finding one! I'm waiting for that raspberry almond torte recipe, by the way. A second recommendation for Food Processor. I work for the company that makes Food Processor, so I am a bit biased. But, I've also put a lot of work into adding vegan items, so I think it's an especially good choice for you. Let us know what you go with b/c I'm interested. On another note, check out http://www.vegetariantimes.com/tellvt. Vegetarian Times is asking readers for their fave cookbook. There are a few Dreena fans. I added to the praise (my comment is waiting approval). Saw your recipes in Alive. Wonderful. That raspberry almond torte looks so tempting! !